4. Computer data backup and restore. 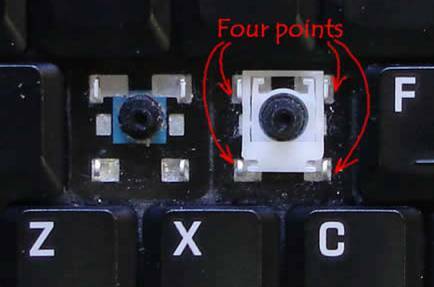 One or more keys fell off the laptop keyboard and you are not sure how to put them back? Don’t worry, most likely you can fix the keyboard and it’s not necessary to buy a new one. There is no universal repair guide because all keyboards are different. Here’s what I usually do in this case. Situation 1. 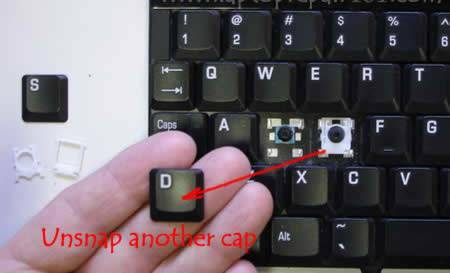 The key cap and key retainer fell off the keyboard and you cannot figure out how to assemble them back. 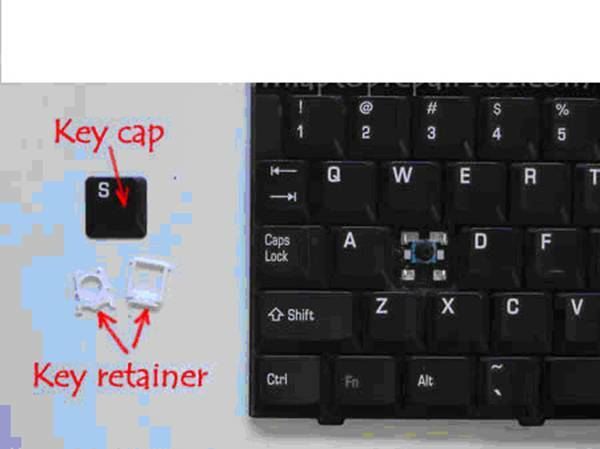 Carefully remove the cap from any other working key so the key retainer stays connected to the keyboard. 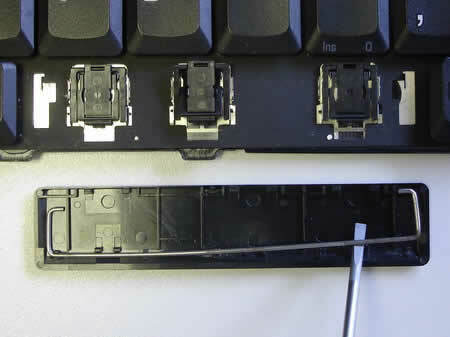 Take a closer look at the key retainer, it’s connected to the keyboard at four different points. Assemble the disconnected retainer the same way as one on the keyboard and put it back in place. in place. After you found a new key, put it back in place the same way as I described in the situation 1. Installing the space bar key. 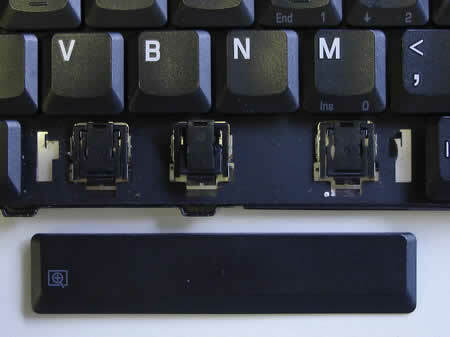 The space bar key is connected to the keyboard a little bit differently then any other key. 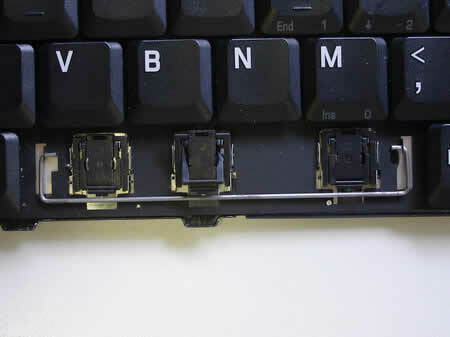 There is a metal retainer connected to the space bar key (on some keyboard models). 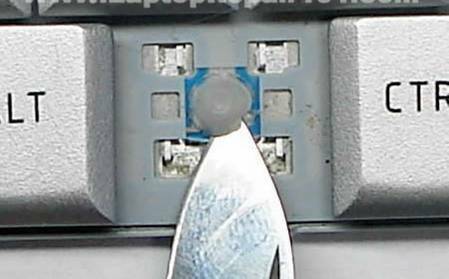 Separate the retainer from the space bar key with a flathead screwdriver. Install the retainer back in place as it shown on the picture. You have to engage the retainer with the small hooks on the keyboard. 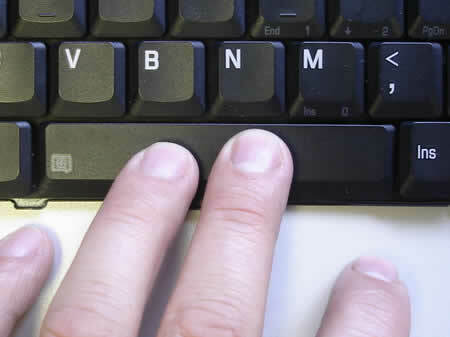 Put the space bar key back in place and gently press on it with fingers until it snaps back in place. That’s it. 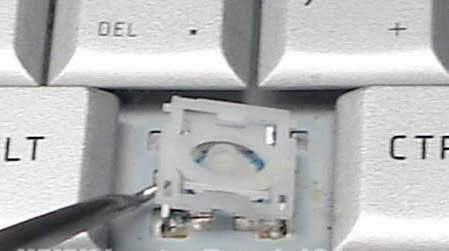 The space bar key is installed back in place and should work as before. 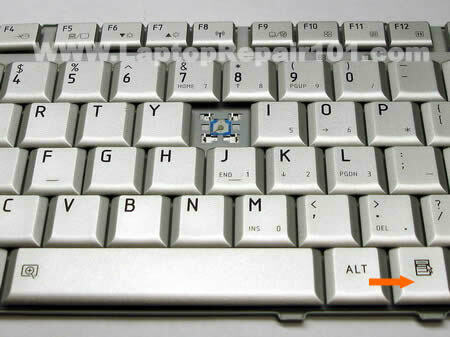 If you still cannot fix your keyboard, then you’ll have to find a new one and replace it. 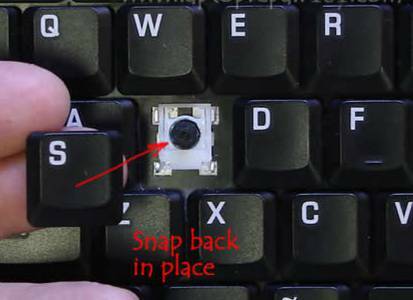 Here’s another technique you can use to fix a broken keyboard key. 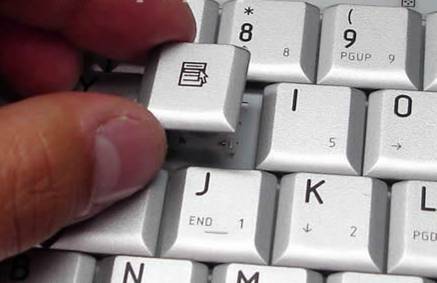 As you see on the picture below the keyboard is missing the U key. 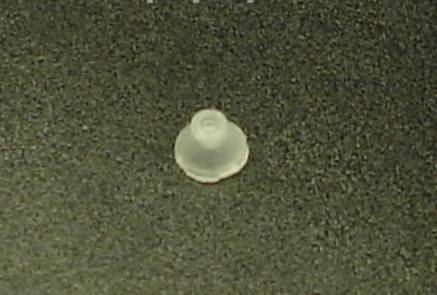 The key cap, retainer and even silicone membrane were lost. Let’s see if it’s possible to temporarily fix the U key without buying any spare parts. Personally, I cannot use keyboard without U key but I can live without a key located on the side from the right ALT, I’m not even sure what this key does. In the following guide I will remove the useless key and install it in the place of missing U. 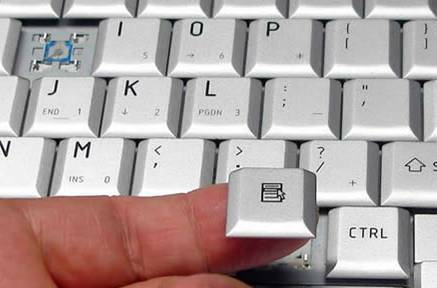 Carefully remove the key cap with your fingers. Remove the retainer. The retainer has two pieces connected to each other. If one piece got disconnected from the other, connect them back together. 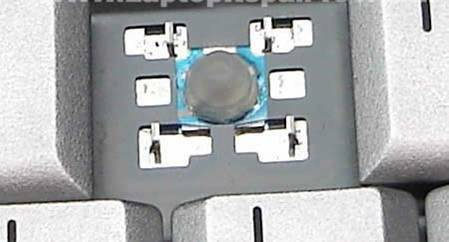 The silicon membrane is glued to the keyboard. Very very slowly separate the membrane from the keyboard with a sharp knife. While creating this disassembly guide I damaged one membrane because I wasn’t careful enough. Again, you have to be very careful removing the membrane. If you damage the membrane you’ll end up with two broken keys instead of just one. The silicon membrane has been removed. Now apply some superglue on the bottom edge of the membrane, just enough to keep the membrane in the place. Carefully place the membrane in the center of the U. Make sure the membrane is positioned correctly. Wait until the glue cures. Position the key cap above the retainer. Gently press on the key cap until it clips in and connects to the retainer. 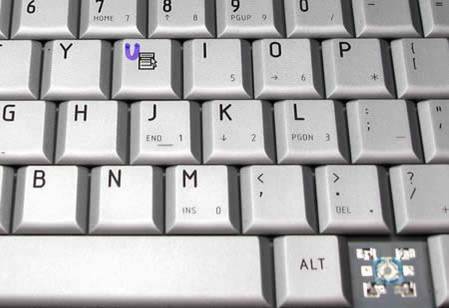 Now you can use the U key again. Troubleshooting. Why the key will not clip on. Turn the key upside down and take a closer look at the locking clips. 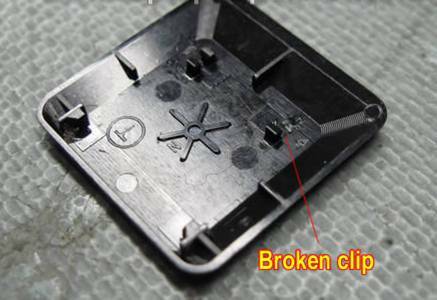 It’s possible that one of the clips is damaged and because of that the key will not clip on the retainer. If that’s the case, you’ll have to purchase a new key. On the next picture you can see that one of the clips is missing, it’s broken. This key will not stay connected to the retainer either. If that’s the case, you’ll have to purchase a new key. It’s possible that the key is fine, but the retainer itself is broken. 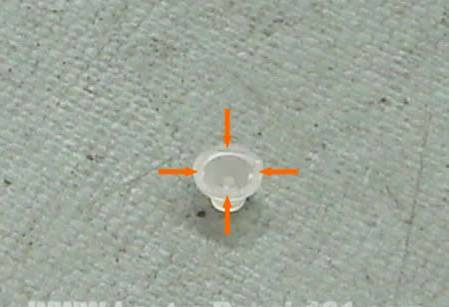 On the next picture you can see that one of the tips is missing on the retainer. The left tip is OK, but the right one is missing. If that’s the case, you’ll have to purchase a new retainer. Here’s one more picture. In this case two parts of the retainer will not stay connected to each other. It happens because one of the tips is broken. The left tip is OK, but the right one is missing. If that’s the case, you’ll have to purchase a new retainer. 1. IBM-THINKPAD: Appearance unchanged for years, the traditional black, very difficult to win the love of young people, quality, than in the past has diminished significantly, and the most deadly is the important chips on the motherboard locked with some kind of special glue, which means that when the laptop has some problem, you will be unable to repair the motherboard, only the replacement, it will greatly increase your use of cost, therefore, Shanghai Bill Computer Repair Company does not recommend that you buy. 2. HP COMPAQ: The quality of HP is relatively better, COMPAQ relatively worse, a lot of models of HP used Altec Lansing sound, so sound quality is very good, the Appearance also more beautiful, easier to win the love of young people , Disadvantages: noisy radiator, HP’s graphics cards easy to damage, so its has a high repair rate. 3. TOSHIBA: Appearance is very beautiful, with Harman Kardon sound , sound quality is very good, drawback is the resonant treble, but still the best choice for music lovers. However, some Toshiba lapyops with ATI chipsets, is very easy to damage, so consumers still have to choose it carefully. 4. ACER: appearance, sound and performance are no bright spots, but the quality of products is ok, perhaps some business person likes it. 5. DELL: motherboard & screen quality is not so good, very easy to damage, but they can be renovated, so, Shanghai Bill COMPUTER REPAIR COMPANY suggests that if you want buy it, just be careful. 6. Lenovo: appearance, performance, quality are no bright points. 7. SONY VAIO: Appearance is very beautiful, but the sound quality is very poor, mostly use PANASONIC OEM DVD-Drive, very easy to damage, the battery is also very easy to damage. 8. 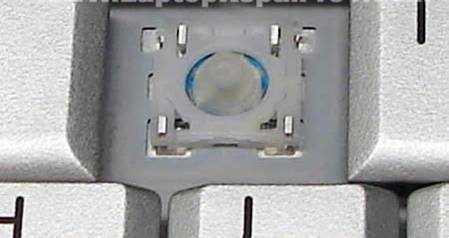 NEC laptop: motherboard is very thin, very easy to damage, and the NEC PC branch has withdrawn from the Chinese mainland market, so the after-sales service is very worrying, therefore, Shanghai Bill COMPUTER REAPIR COMPANY does not recommend consumers to buy. 9. FUJITSU laptop: appearance has more features, the machine’s running state can be displayed by a small external LCD screen, the quality is just so-so, and the sound and display is also very general. 10. PANASONIC laptop: thin and light, but the price is very expensive, many types are designed with no fan, so it's very quiet, but the maintenance costs are high, CD-ROM is very easy to damage, poor sound quality. 11. Samsung's notebook: product quality and sound quality is very general, not very good quality CD-ROM. 12. BENQ laptop: product quality is rather poor, relatively easy to damage, but the price is cheap. 13. ASUS notebook: appearance, quality, and display are all very general. Shell is easy to damage. 14. HASEE laptop: cheap price, product quality is very general, plastic shell can not shield radiation. 15. Founder, Tsinghua Tongfang: plastic shells, easy to break, the product quality is very general. 16. Haier laptop: Appearance is so-so, the product performance, sound quality is very general. 17. Hitachi: hard drive’s quality are very good, they provide hard drives to many laptop manufacturers, but the notebook’s quality is very ordinary, motherboards are easy to damage. 18. Apple (Macbook): product is always white, very beautiful, quality is also very good, showing a good effect, very suitable for photography and design enthusiast, but it has UNIX core operating system, is not suitable for ordinary consumers, although you can install the WINDOWS system, but the keyboard is different from general PC. 19. GATEWAY laptop: very heavy, product quality is very general. INTEL and AMD's CPU, be sure to choose INTEL, because of AMD's high heat, it is easy to damage. Chipsets: INTEL, VIA, ALI, SIS, ATI, NVIDIA, we should choose INTEL. because ATI, NVIDIA has high heat, it is easy to damage. Graphics chipset: INTEL, ATI, NVIDIA, we’d better choose NVIDIA, because NVIDIA’s display is very good, also runs very fast in 3D games, ATI is also very good, INTEL is the worst. When press the power switch, such as the normal power supply system (3.3V and 5V, and CPU power good output), power chips can produce PG (power good) signals were sent to the north and south bridge and CPU. When the Southbridge receives the PG signal, it will produce two clock control signals PCISTOP and CPUSTOP sent to the clock circuit, clock circuit produces the clock signal, in which way the clock sent to the PCI and South Bridge, when South Bridge received the clock signal, it will produce a two-way reset signals: PCIREST (reset signal) and DRVREST (device reset) to reset the various parts of the circuit on the motherboard, which way to reset Northbridge, when the Northbridge received reset signal, it will produce a CPUREST to reset the CPU, when the CPU reset signal received (when CPU power supply, the clock reset conditions are equipped with), marking the machine's hard starting process has been completed, the next will be soft-start. 4: Find other equipment BIOS, and call their initialization code, initializing related equipment. 5: When finish finds other equipment, the system BIOS will display its splash screen, and begin testing extended memory and give the corresponding address. 6: testing a number of standard equipment, including hard drives, optical drive, serial, parallel, floppy, etc..
7: The standard equipment testing finished, the code within the system to support Plug and Play will start to detect and configure the system in the Plug and Play devices, and the allocation of these devices interrupt addresses, DMA channels and I / O ports and other resources. 8: All the hardware detection finished, and are assigned the interrupt address, that is, all the hardware to build a hardware system, when will generate a "ESCD" document (the system BIOS and operating system used to exchange information on hardware configuration that means, the data in CMOS there), CPU will generate the ESCD and the last ESCD for comparison and found differences, will update the ESCD data. 9: ESCD update, CPU has also put the POST and the interrupt service routine is finished, and then will be the system bootstrap program. Anyone who owns iPhone and updates the firmware unceasingly should be discover that, each time iPhone firmware renews all brings the massive new functions. Not only the newest 3.1.3 firmwares have patched on 3.1.2 firmwares massive loopholes, but also iPhone 3G, the 3GS handset baseband procedure promoted 5.12.01 edition - -just like you know, each time the baseband procedure promotion could “convenient” completely dried up jailbreak. Tools. Face the new iphone 3.1.3 firmware network lock, the famous iphone Dev-Team subsided. While we think that the U.S. version or European version of the iphone can not be used again in China Mobile, the magic boy Geohot appearance, the genius who just 20 years old, who find new vulnerabilities in Apple, and as scheduled on November 4 for Apple's sky it began to Black (BlackRa1n). BlackRa1n software not only buttoned the jailbreak and unlocks: the two major problems on the iphones hack, How Is Black Magic? 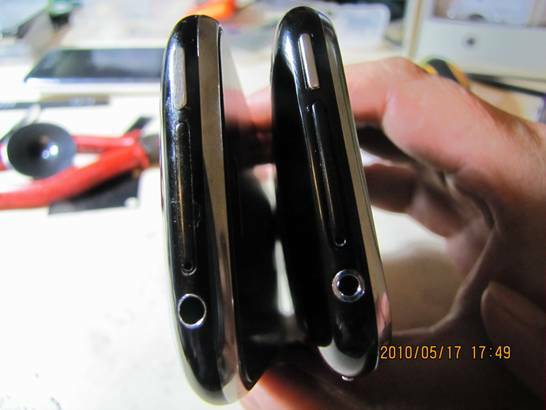 Next, we unlock the iPhone 3G/3GS 3.1.3 firmware with the complexity procedure! Now, Apple's blockade become more closely, but the whole jailbreak process is more simple and easy . For iPhone 3G/3Gs users, we only need to upload a good iTunes 9 in the computer and ensure the iPhone to sync correctly, and then separately download the iPhone 3G 3.1.3 official firmware or iPhone 3GS 3.1.3 official firmware, and BlackRa1n RC3 ( Black jailbreak unlock tool) to complete all the preparation. It is noteworthy that Black tool includes Windows and Mac versions. Do not download the page in the wrong point of the icon. 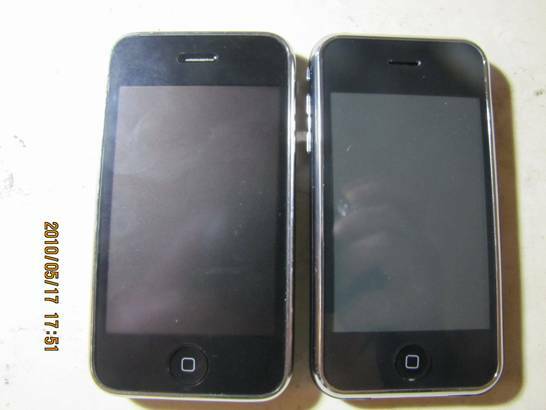 In addition, because 41 weeks after Apple iPhone 3GS, iPod Touch update on the use of encryption technology, though you can jailbreak to unlock these phones, but don’t restart. If you do like this, mobile phone or iPod directly into the recovery mode, so you need unlock it again. Since it is a jailbreak unlock, first thing to do is to start a backup all the data inside the iPhone and in iTunes, right click select the backup project. iPhone includes SMS, contacts, call history, or even a game save file will count them out. After the firmware update to restore, so you will not lose any data. Next is the old way, in iTunes the iPhone summary section on the keyboard, press and hold Shift, then click restore. 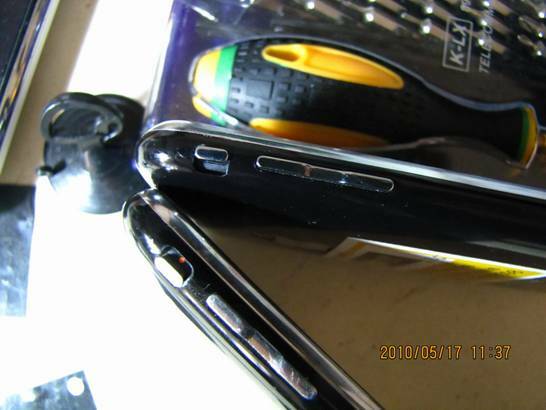 Point we will resume after the file download good iPhone 3G 3.1.3 firmware. iTunes will seal the deal of all. After the completion of the firmware back. iTUnes will give the lock interface super-classic "Sorry, you insert the SIM card does not seem to be supported." Now, you need the Black! Keep iTUnes on, and then double-click the Black icon, you can see a small window. Click to Make it Ra1n. At this point you begin to jailbreak the iPhone! Patiently waiting for iPhone to run about 5 minutes, the phone will automatically restart after the successful identification by iTunes. If your phone is not network locked, this is considered its done. If you also want to recognize China's mobile phone and the normal call, have to need Blacksn0w help. Black snow? Just did not say to download ah?! It does not matter, look at your iPhone after jailbreak it. Which have BlackRa1n icon. Connected to the WIFI, click BlackRa1n icon. You can see on the map as the interface. Click interface Cydia, is to install Cydia software to download the client. 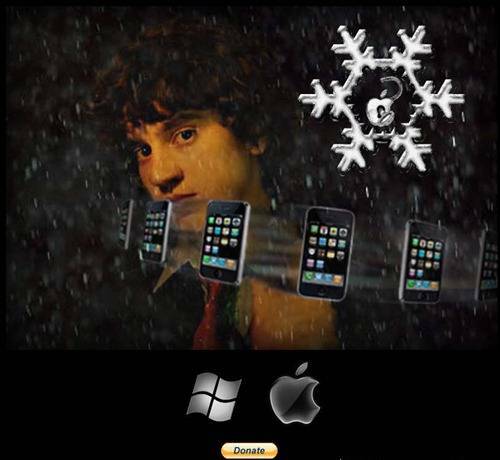 Click Sn0w, Blackra1n will automatically download the black snow, complete the unlock process. BlackSn0w installed after the restart the iPhone will be able to easily find China Mobile, China Unicom network. If you are iphone software enthusiasts have to install AppSync 3.1 patch to run correctly on the iPhone with cracked software. The specific method is to install Cydia, add a site http://cydia.hackulo.us, at the Cydia source, and then select Hackulo provided App Sync 3.1 patch can be installed after the restart. 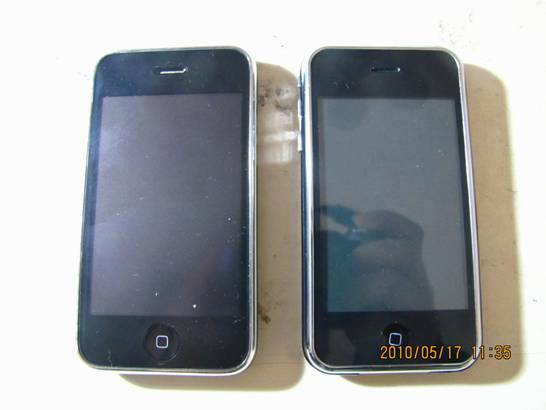 At this point, the iPhone 3G, iPhone 3GS 3.1.3 firmware jailbreak unlock already completed. 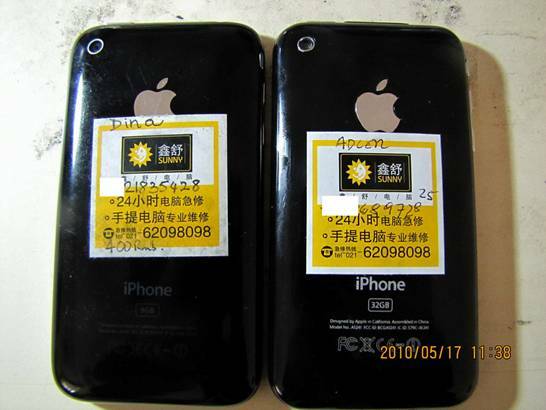 We have an Austrian customer called Adcon bought a “iPhone” from Shanghai Hongqiao Airport, Its very fake, even can’t use. Its costs him 1000RMB, he is very angry but has no alternative-because he can’t find the guy! So we write down the true story, avoid other people fooled! The left is true, the headphone looks like white. The true iPhone has fly-mode switch, but the fake one’s switch is useless. 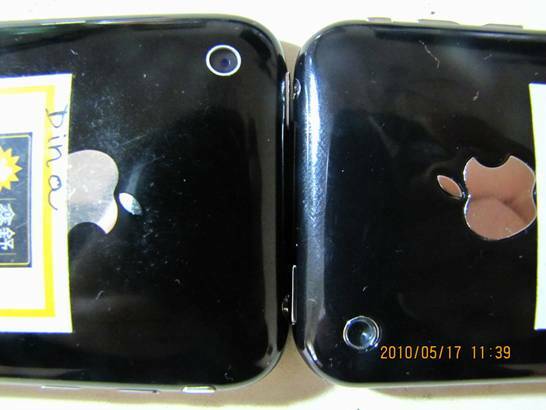 The real iPhone’s character is dark; the fake one is very bright, The LOGO just like be pasted on. The real iPhone’s camera has a white ring. 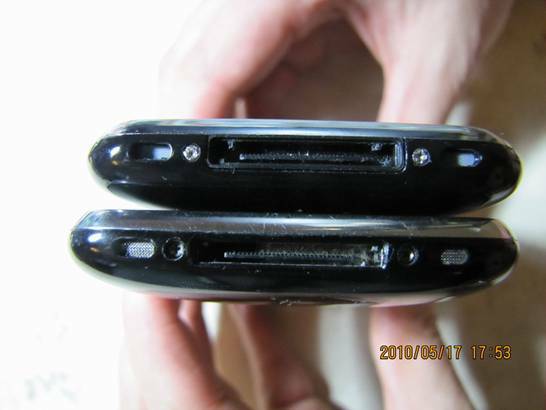 The real iPhone’s headphone jack is 3.5’, but the fake one is 2.5’, so the real one is bigger. The real iPhone’s screen looks like purple, but the fake one looks like silvery. The real iPhone’s microphone looks very clear, power interface is bigger than fake one, even the screws are different, the real one are deeper.